Disgruntled parents, win at all costs, troublemakers, playing time, balancing talent, and tracking drop-outs… These are just some of the issues faced head-on in Coaching Kids. Coaches experience many problems – many created by excluding parents from the process. Coaching Kids provides concrete ways to involve parents in the process as well as step-by-step help with kid-coaching basics and trouble management. 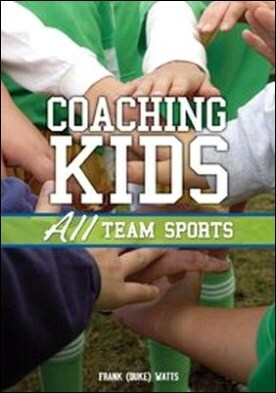 It is the perfect primer for organizing and coaching kids – K through middle school. Much has been written about coaching kids. Most books are sport specific – covering only one sport and going into depth on its mechanics. Others are more general – mostly feel-good psychological stuff. They often focus on how to make the participants feel better – not necessarily perform better. Very little, however, has been written on the basic challenge of coaching kids in general, regardless of the sport, and even less on organizing kid sports from the coach’s and league’s viewpoints.